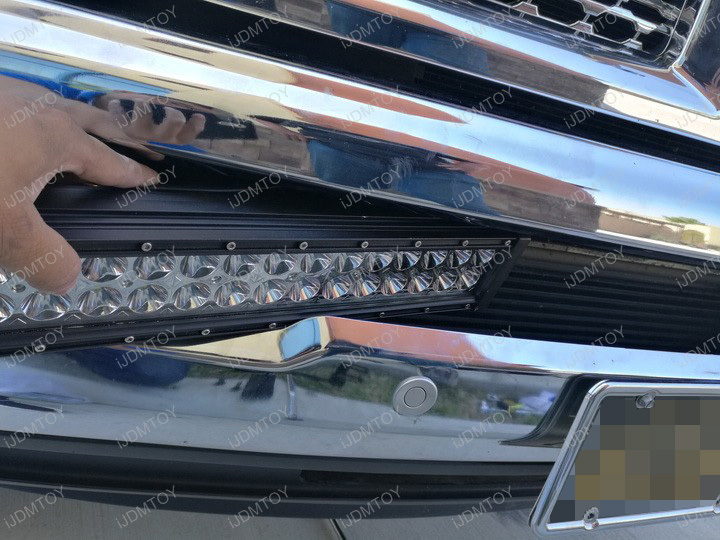 Q: Is this LED light bar system compatible with my vehicle? 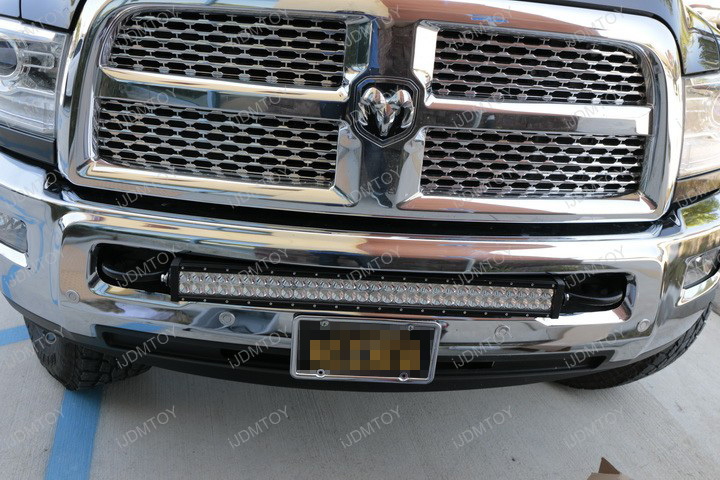 A: This double row LED light bar is compatible with the 2003-2018 Dodge RAM 2500 3500. 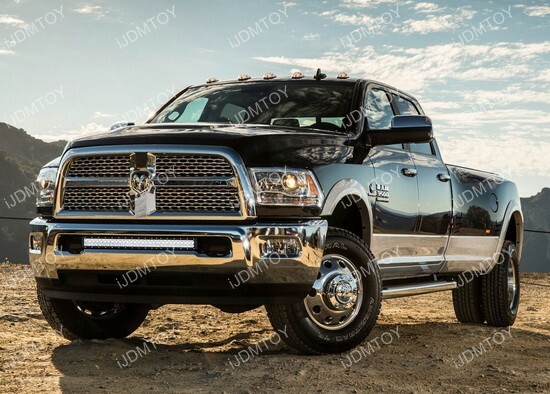 Q: How do I install the 31" 180W LED light bar on my Dodge RAM? 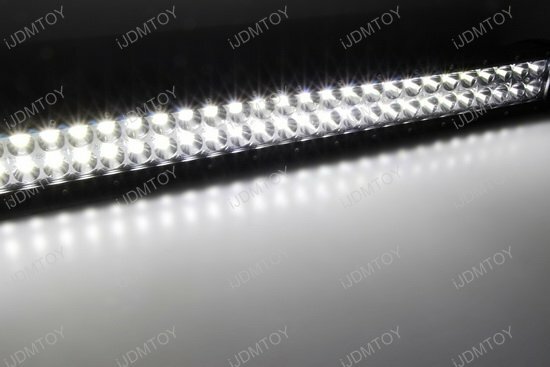 A: Installation of this LED light bar is clear-cut and involves no modification. 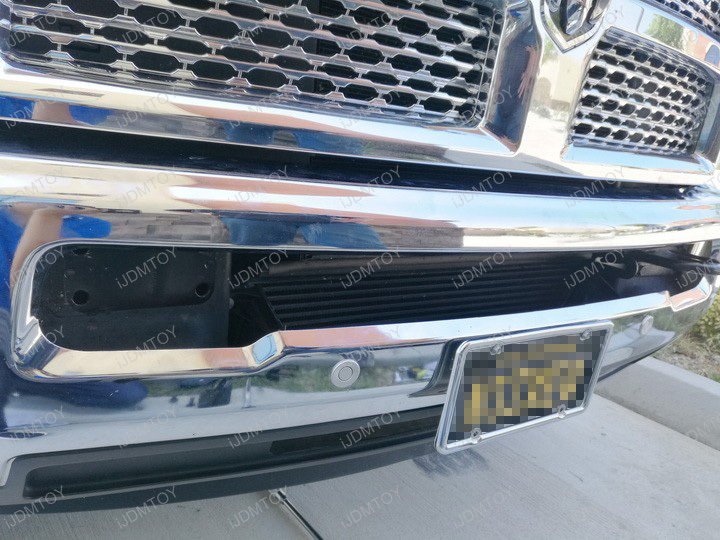 With our mounting bracket design, you are able to retain your front bumper tow hooks. 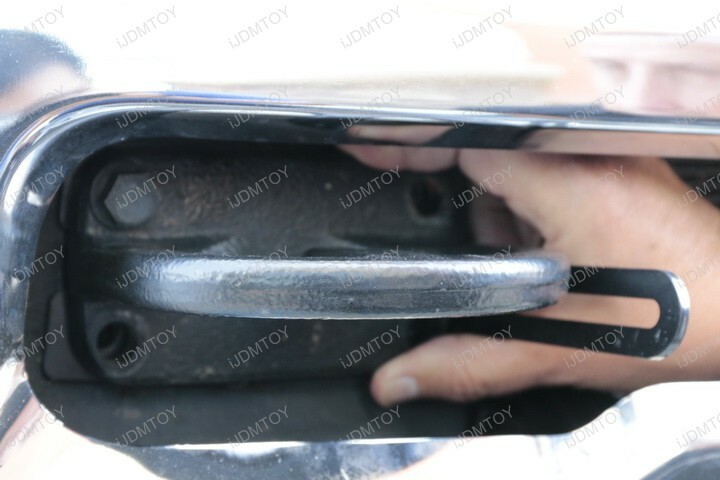 Step 1: Unbolt your tow hooks. 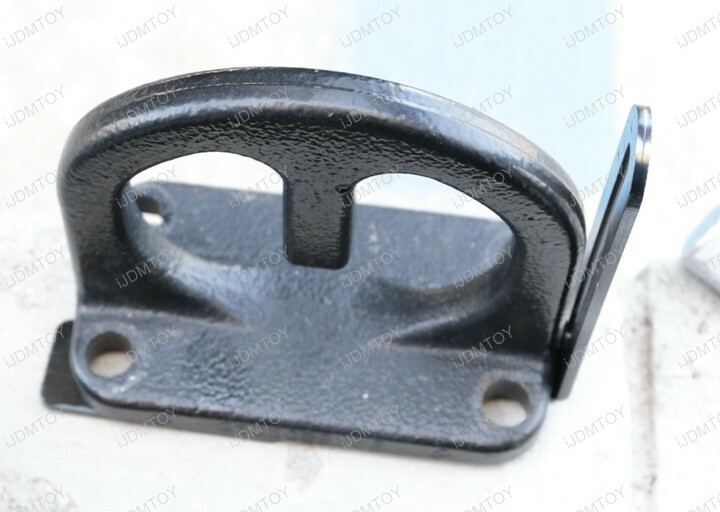 Line up the two bolting locations of the support brackets to the outer holes indicated below. 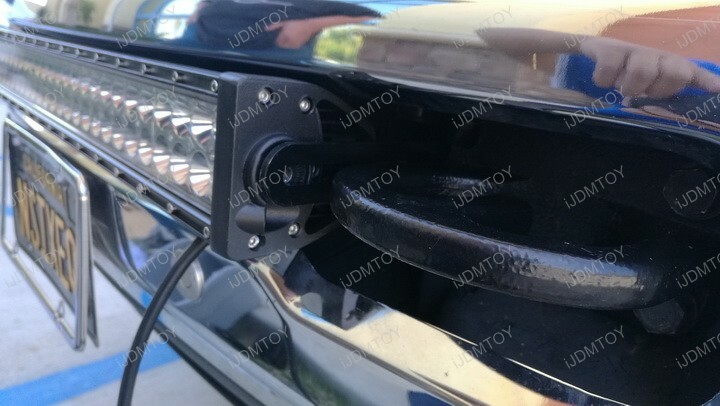 Step 2: You may bolt on your tow hooks over the exclusively designed mounting brackets. 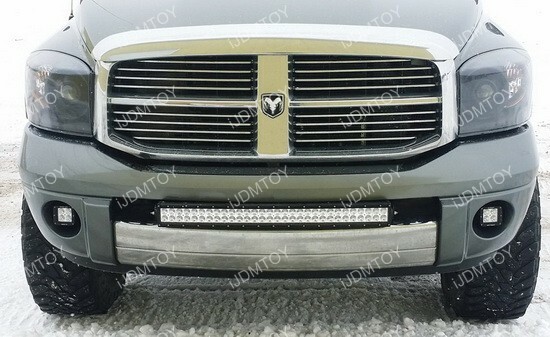 Keep in mind that your LED light bar will protrude outwards if you do bolt your tow hooks over the mounting brackets. 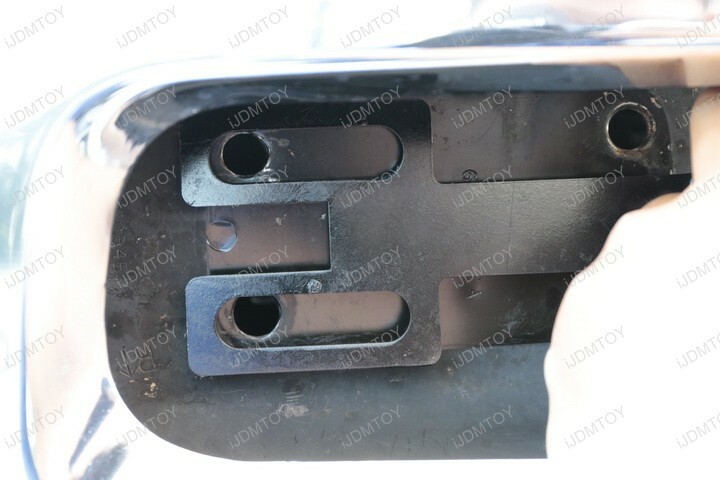 The tow hooks will get in the way of the inner gap of the mounting brackets. 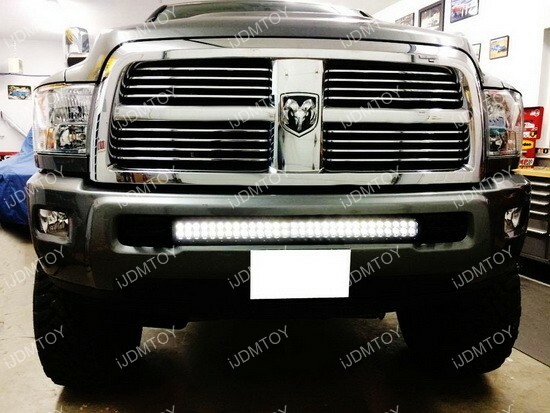 Step 3: Mount the LED light bar in between the metal support brackets. 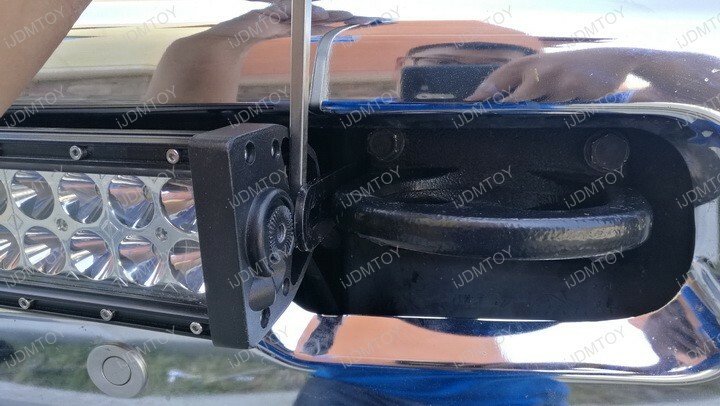 Bolt on the included hardware on one side of the LED light bar. 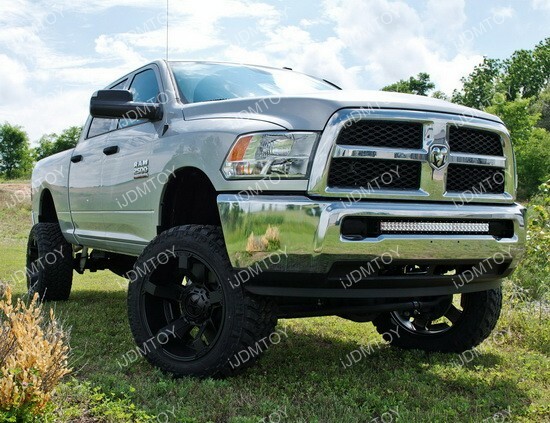 The other side will be a tight fit. 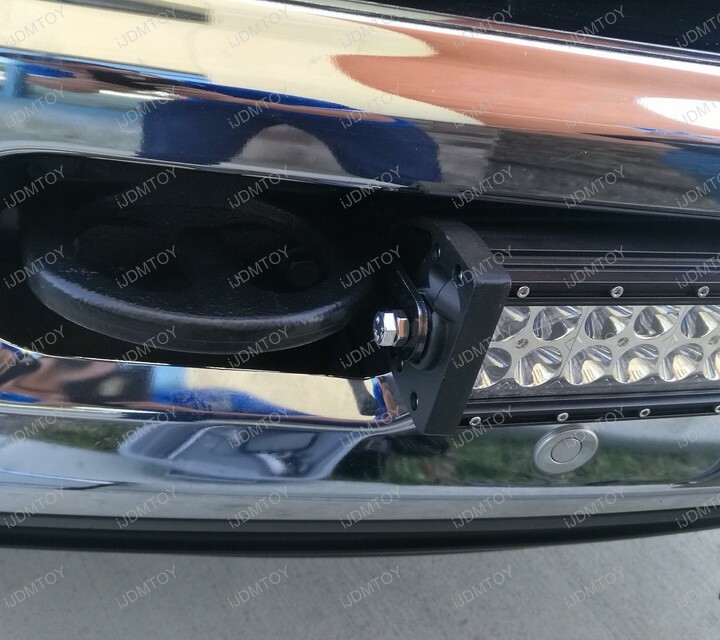 Use a flathead screwdriver or like item to push the mounting bracket on the other side back to allow the LED light bar to slip in. 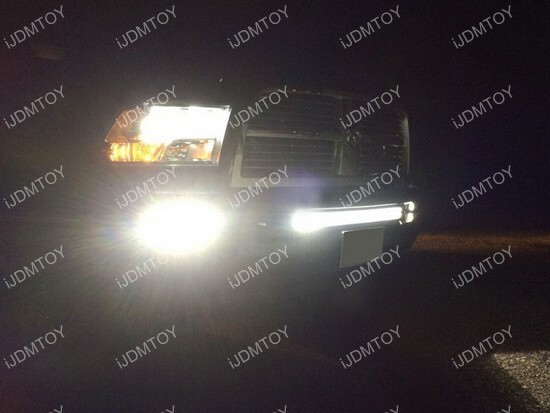 Step 4: Wire your LED light bar with the included relay wiring harness and switch. 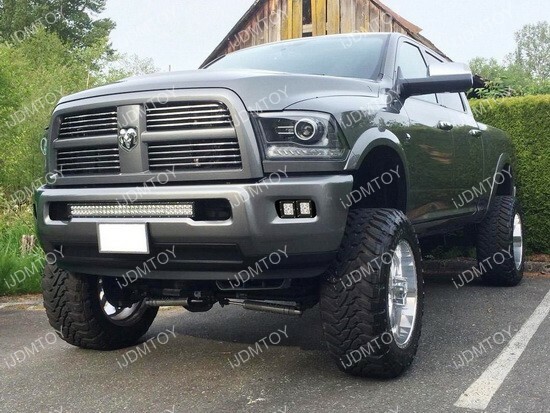 Confirm that the LED light bar lights up. 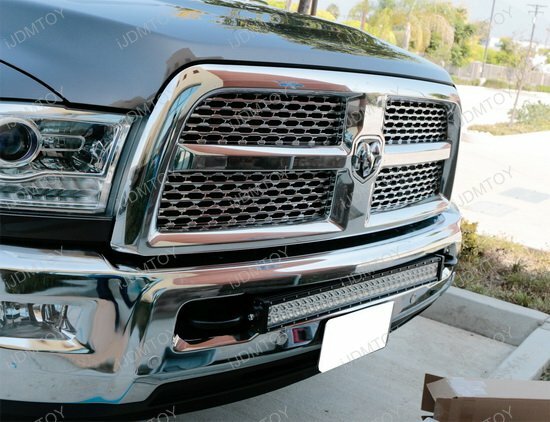 Once it does, you can now enjoy your Dodge RAM's new LED light bar! 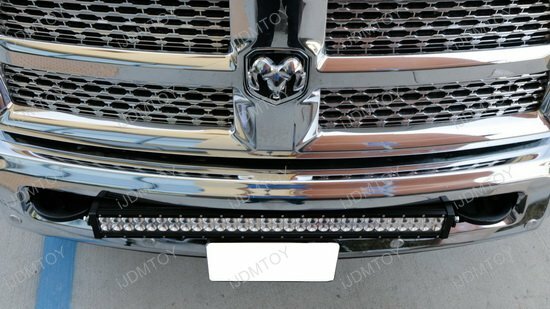 Q: Will I be able to insert my LED light bar in without having to remove my bumper? 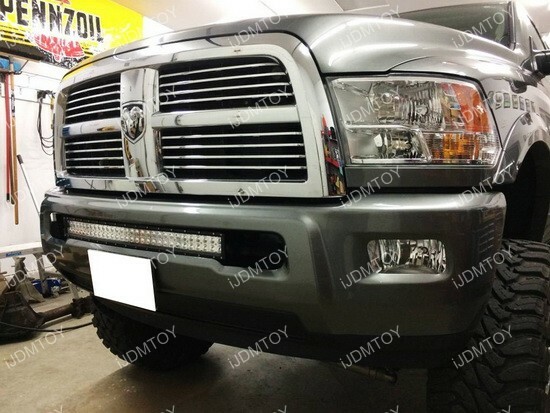 A: Yes, you will be able to install your LED light bar without removing your bumper. 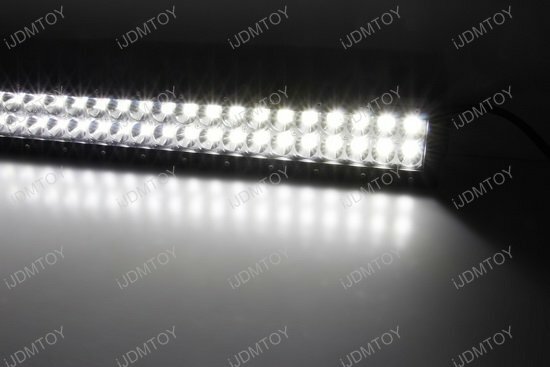 You will have to carefully insert it at an angle. 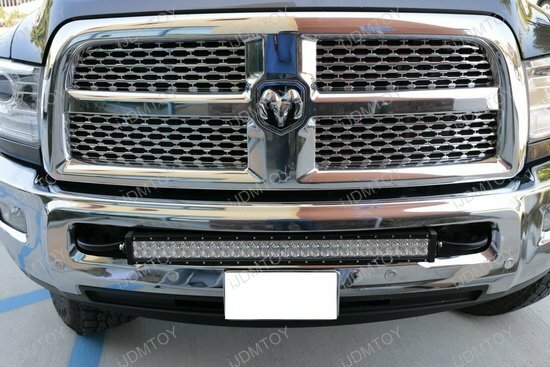 This page features a complete set of 31.5" lower bumper grill mount high powered double row LED light bar system combo for the 2003-2018 Dodge RAM 2500 3500. 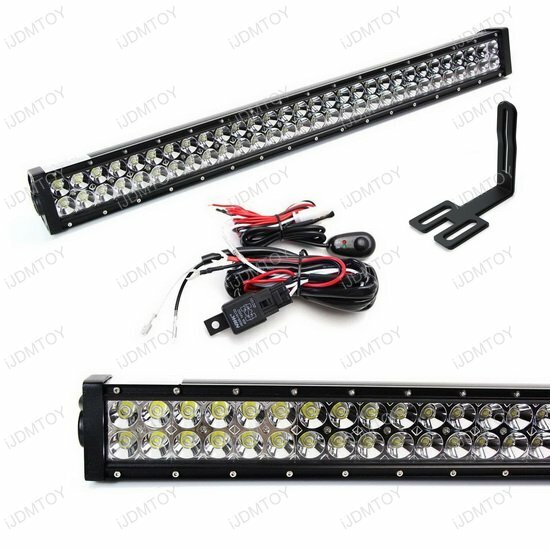 Each kit comes with a piece of of 180W high powered double row LED light bar with spot beam pattern and a pair of black powder coated full metal lower bumper grille mounting brackets and On/Off switch wiring kit.